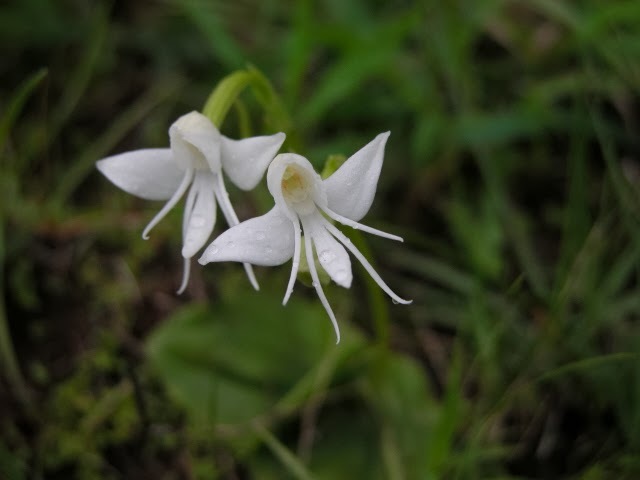 Native to the open high altitude grasslands of southern India, the Angel orchid - Habenaria Grandifloriformis is one of the gems of the orchid world. First described in 1932 by the scientists Blatt and McCann, it is a small terrestrial herb, growing to about 5 inches high. During the growing season it usually produces just a single, heart shaped and rounded leaf which lies flat on the ground. 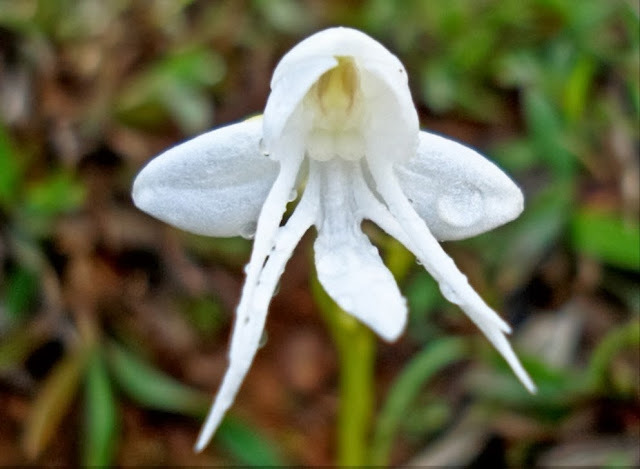 The exquisite flowers are white in 1-5 bundles with bilobed petals and if you look closely enough bare a striking resemblance to a cloaked angel! The flowers, which are mildly fragrant, are produced June to July and is one of the first orchids to flower at the the onset of monsoons. The Angel orchid is rarely seen in cultivation, but as a rule they are best grown in deep pots in a well drained medium consisting of 50% river sand, 40% leaf mulch and 10% vermiculite. Plant the tubers at about 4 inches deep and keep in a temperate environment with 50-70% shading and excellent ventilation. Water the Angel orchid regularly during the growing season, from spring to autumn. As soon as autumn cooling sets in reduce watering to once every two weeks. During cold winter months you will need to stop watering altogether. The compost needs to be dry but not so dry that the compost dehydrates completely. To prevent this, occasionally drench the pot and allow once more to dry. Only after new shoots emerge at the end of winter should you commence watering, but only then once every two weeks for the spring and then once or twice a week as required during the summer. A slow release fertilizer can be applied during spring. The Angel flower can be prone to infestation from aphids.